In an age where residents of developed countries have access to more information and data than ever before, developing countries struggle to collect, use and analyze data about themselves. All countries have a particular need for digital geographic data, but the traditional purveyor of geo data -- Google Maps -- does not have much incentive to map, for example, a rural village in Sub-Saharan Africa. This is where OpenStreetMap, the open source Wikipedia of world maps, comes in. 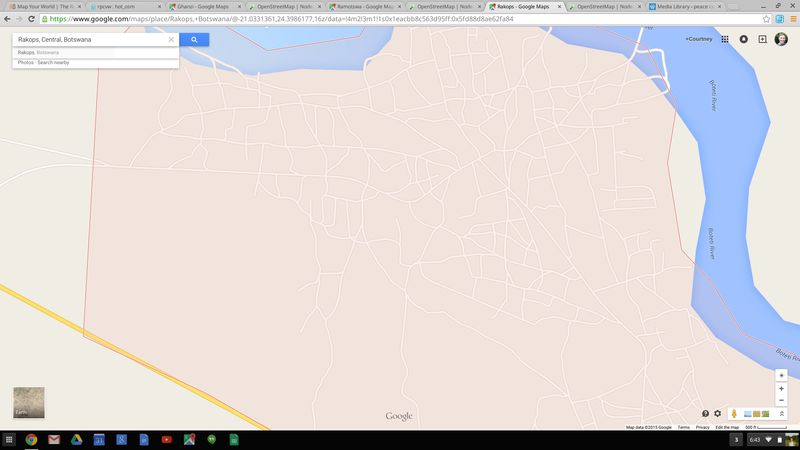 Rakops, Botswana, on Google Maps. RPCV/W and the Peace Corps Office of Innovation have teamed up in an effort to put more Peace Corps countries on the map. The benefits to Peace Corps communities are endless -- just imagine how often you personally use digital maps, and then imagine the possibilities for epidemiology, agriculture, environment, eco-tourism, and even education. A small but growing group of Peace Corps Volunteers around the world are using digital maps to implement sophisticated, data-driven projects. 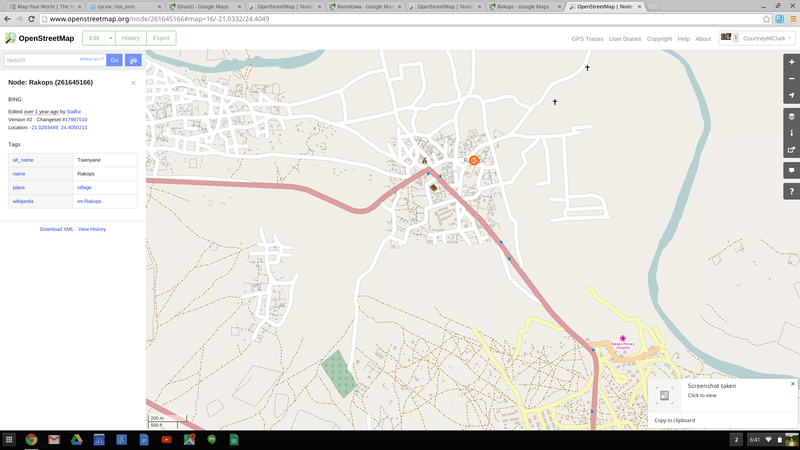 For a sampling of current Peace Corps OpenStreetMap projects, please visit our tasks on the Humanitarian OpenStreetMap Tasking Manager. Thanks to high-quality satellite imagery and a simple editing site, anyone, anywhere in the world can contribute remotely to OpenStreetMap. This exciting form of digital humanitarianism opens up new ways for RPCVs to contribute to their host countries outside of traditional donations. If you are interested, simply watch the tutorial videos at MapGive and you can start contributing within 20-30 minutes. 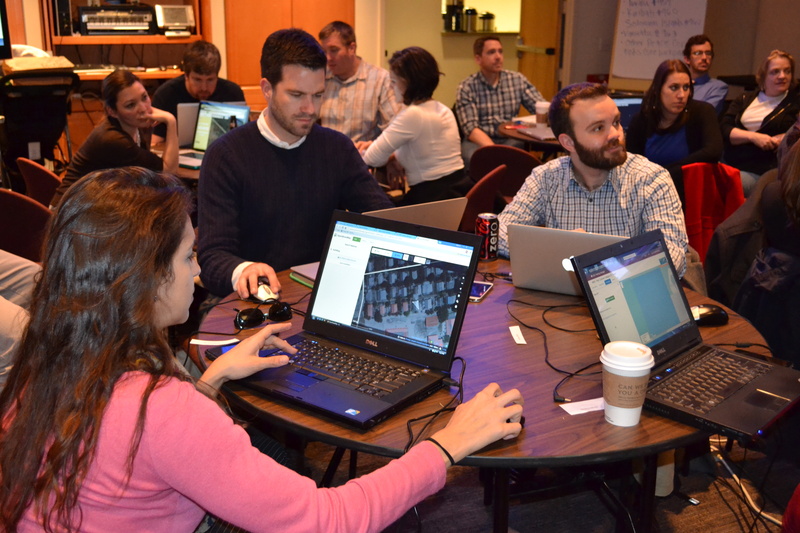 We will periodically host events to bring RPCV/W members, Peace Corps staff, country-of-service groups and student mappers together to help build digital base maps for PCVs in the field, but we encourage all members of RPCV/W to contribute to OpenStreetMap whenever they can as a form of volunteering. RPCVs of Vanuatu and other RPCV/W members map Vanuatu after the 2015 Tropical Cyclone Pam. The result maps were used by disaster relief organizations to navigate to affected areas, plan supply shipments, identify shelters and prepare for future disasters. For more information or to host a country-specific mapping event with your country-of-service group, please contact Courtney Clark, Peace Corps Innovation Fellow, at cclark2@peacecorps.gov.